How Long Is An Opening Weekend? The initial importance of the opening weekend figures is obvious. Films cost a lot of money to make and almost as much to market. Producers want their movie to make as much money as possible and the opening weekend is the start of that. The box-office returns tend to diminish exponentially over time, so a strong opening is essential. Then you have the cinema/theatre owners, who depend of a packed audience so they can sell their real money maker, refreshments. One thing you can guarantee is that however good or bad a film is, there will always be a handful of new releases the following week to take its place. To add to this, for most people a trip to the cinema is no longer a cheap night out, audiences want the reassurance of a film that other people like. A little research online tells me: There are two basic ways a cinema pays for the right to show a film. The first and less common way “Bidding” requires the cinema to pay an agreed fee for a set period of time. They then keep the box-office takings making a profit or loss depending on the success of the film. More common, is a percentage of the box office sale. The cinema’s share of the box-office tends to go up each week. But then there are more complicated deals where second, third and future weeks may be decided depending on the success of the opening. A cinema and distributor cannot wait until Thursday night to do this, as by this time the prints (or digital equivalent) will be in place, the listings printed, the schedule published and the posters up in the foyer. So what do they do? They decide based on the opening weekend. Then you have the smaller and independent cinemas that may not get a film in the first week, they have to decide what films to take based on how they have performed in other venues. Or the large cinemas who have a staggered release for some films, how they perform in the opening weekend could decide how many screens the eventually make it into. As a film fan and regular cinema goer, I used to check the press for preview screenings of films I really wanted to see. They were normally two or three days before general release, sometimes they were ten days before. There would only be one screening. Then things started to change. The preview would be the weekend (That’s Saturday and Sunday – as we will come onto later a weekend is something different in cinema) before release, or the two or three days leading up to the official release date. When this happened the one off screening became a whole day, or several days of screenings. 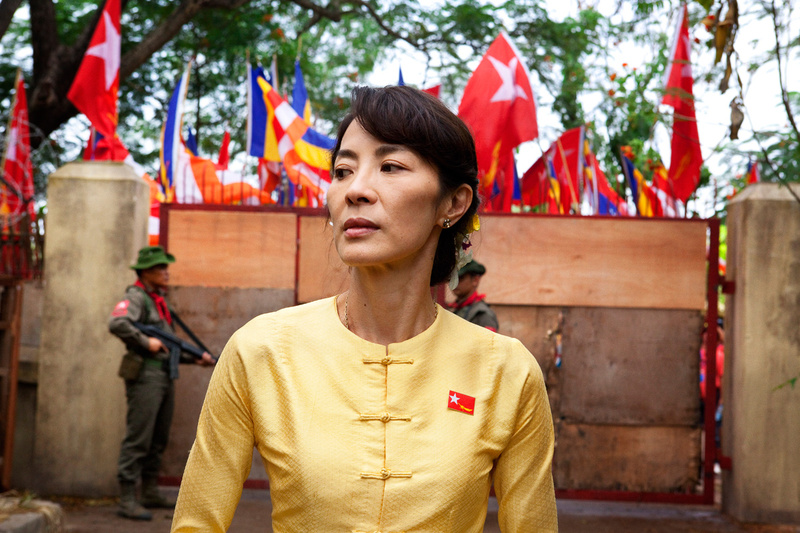 The all important opening weekend runs from Friday to Sunday. But here, is the catch. If a film previews before the opening weekend, the box-office from the preview is added to the opening weekend take. An extra midweek date will certainly help but how much difference will it really make? If you want to guarantee your film will be a “number one box-office smash” you may want more than one extra day. That is exactly what happened last month. Neighbours (know as Bad Neighbours here in the UK) opened on Friday 9th May, it previewed from Saturday 3rd May, giving it a nine day opening weekend. It came as no surprise that it topped the box-office that week, as described by Mark Kermode. In an interesting twist on the story. 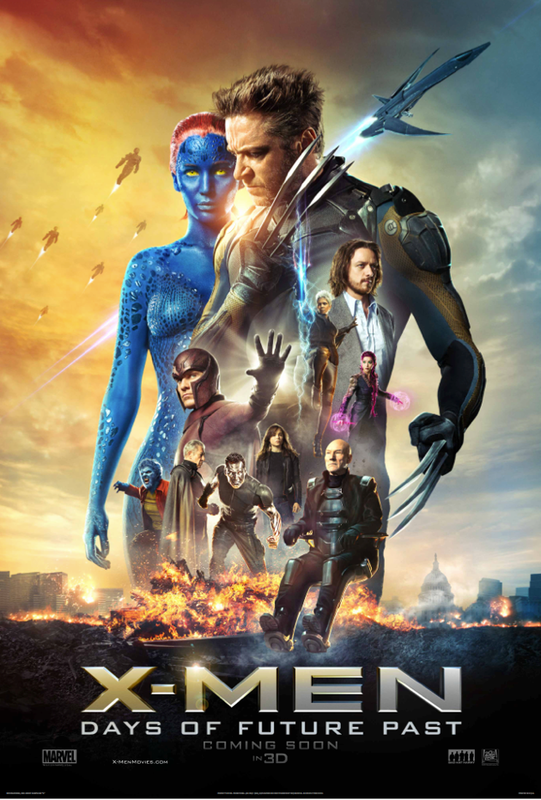 When on Friday 23rd May Picturehouse Cinemas compiled their top five films for the week ending on Thursday 22nd X-Men: Days of Future Past came sixth, only narrowly missed out on a place in the top five despite only being open for one day. Does it matter? To be honest I’m not sure. I watch films because I like the sound of them or because they are made by filmmakers I like. I don’t pick a film because it is successful, I haven’t actually seen Bad Neighbours yet and like Mark Kermode, I actually like Transcendence. But where will all this end? will Thursday or Wednesday become the normal opening day for films? Will we see a nine day weekend become the norm? Does it need to be stamped out? I’m not sure that it does but if the list makers want to stop it and level the playing field it would be an easy fix. Only take the Friday to Sunday take into account when calculating the box-office take. I have been hearing the term Long-form television a lot recently. It is a term I had never heard of a few years ago. There doesn’t appear to be a single definitive definition of the term, for the purposes of this article I will take it to describe a TV show with a story arc that runs across multiple episodes. In some cases this can run over an whole season, or the run of an entire show. Although most of the shows I grew up with were made up of single plot episodes there were a few that would fall into what we now call long-form. These days every other show seems to be long-form, they aren’t limited to any particular genre. The Wire and the Danish show The Killing, cover crime drama, Homeland is a spy thriller; House of Cards a political drama, Battlestar Galactica, Sci-Fi, The Walking Dead, Horror; Game of Thrones, fantasy. I was initially skeptical about talk of television being better than films. However I am beginning to see the benefit of some of the best examples. 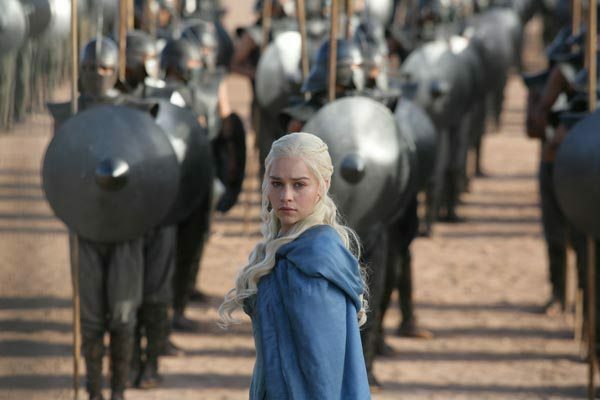 It would be impossible make a film with the characters and plot strands seen in Game of Thrones, even if it was a Peter Jackson length film. I am not however a total convert, the limitations of length of feature films can promote creativity and result in the true art. There is also something appealing about watching a complete story, and that is what prompted me to write this. 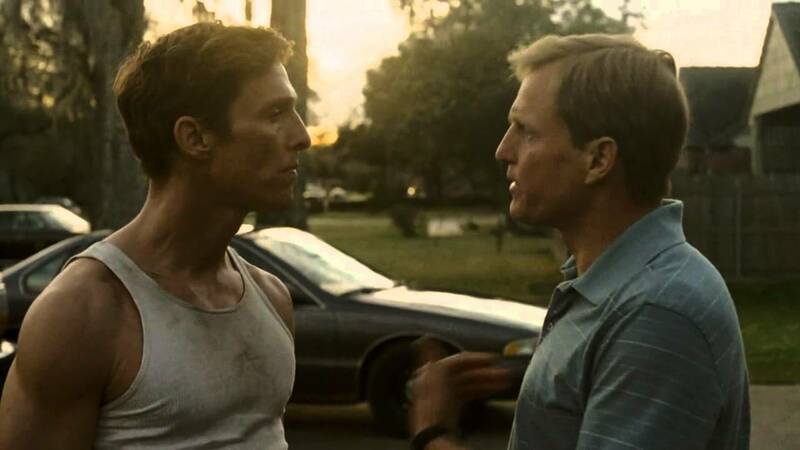 I recently watched all eight episodes of True Detective in two sittings. It struck me that not only was I watching it like a film, but this was the best way to watch it. When I thought about it isn’t the first time I have binged on TV shows, I am actually watching Boardwalk Empire as I write this. It appears I am not alone, listening to the Rotten Tomatoes podcast, they talk of television as cinemas equal and are as interested in the new shows as they are in new film releases. In the latest episode the main topic of conversation was season two of Orange Is the New Black and how they intended to binge watch it. This is possible thanks to Netflix releasing the whole season in one go and not showing it over three months the way it would be on TV. We are watching TV shows as (long) films, this is interesting as films are becoming more like TV with franchises and book series adaptations. Cinema is still my first love, television is not cinema and will never be cinema, it is a very different beast. I am however happy to enjoy televisions renaissance and the quality shows that it is delivering. But more importantly the way the internet has given us a new, easier and more flexible way of enjoying it. Whatever happens, I am sure people will look back on this time as a time of change in media, hopefully it will continue to be a change for the better. Fair Game (2010) was a solid, well made thriller, it was alitle pedestrian but on the other hand it was really well acted. Jumper (2008) was lightweight and uneven but ultimately fun and actually an improvement of the source novel, whose execution never lived up to its concept. Mr. & Mrs. Smith (2005), Many people couldn’t get beyond the hype of Brad Pitt and Angelina Jolie on screen together. If you get beyond this it is both fun and funny. The Bourne Identity (2002) Paul Greengrass gets all the credit for his two Bourne movies, however they couldn’t exist without the introduction and exposition of The Bourne Identity. This however is unfair on Doug Liman, in most ways, his film is an equal to its sequels, it is also the film in the trilogy that I actually enjoy watching most and have seen the most times. Go (1999) In 2012 I hosted a Blogathon called My Movie Year. It asked for participants to pick their favourite movie year and back it up with their five favourite films from that year. I picked 1999: Fight Club, The Matrix, Eyes Wide Shut, The Straight Story and Go. as a collection of intertwined stories it is second only to Pulp Fiction. The cast includes Sarah Polley, Timothy Olyphant and William Fichtner, three of the most talented and underrated actors around. I love this film. 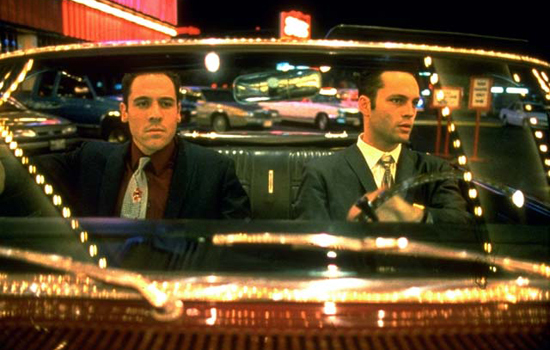 Swingers (1996) It would be easy to condemn Liman for launching the career of Vince Vaughn, however he is actually really good in this, his breakthrough film. it was also the breakthrough film for writer and co star Jon Favreau who went on to direct the first two Iron Man movies. Give the guy a break and like my wait with anticipation for his next film, given his varied career to date, I have no idea what it might be. Films, particularly Hollywood films are often criticised for their historical inaccuracy, however for good or for bad they have a place in our image of history. As I listened to the radio on the way to work this morning the commemorations for the 70th anniversary of the D-Day landings were underway. The morning was full of compelling stories from veterans, most of them in their late teens or early twenties at the time in 1944, now old men in their 80’s and 90’s. Some told of the horror and the terrible loss, some or the heroism, most spoke with unbelievable humility and self deprecation. Fortunately I have no first hand experience of war, so all I thought of as I listened to the stories was films I had seen on the subject. Far more memorable and visceral than anything else on the subject, including documentaries stands one film, Steven Spielberg’s Saving Private Ryan (1998). For those who haven’t seen it, the opening twenty-five minutes of Spielberg’s movie depicts the Normandy landings. 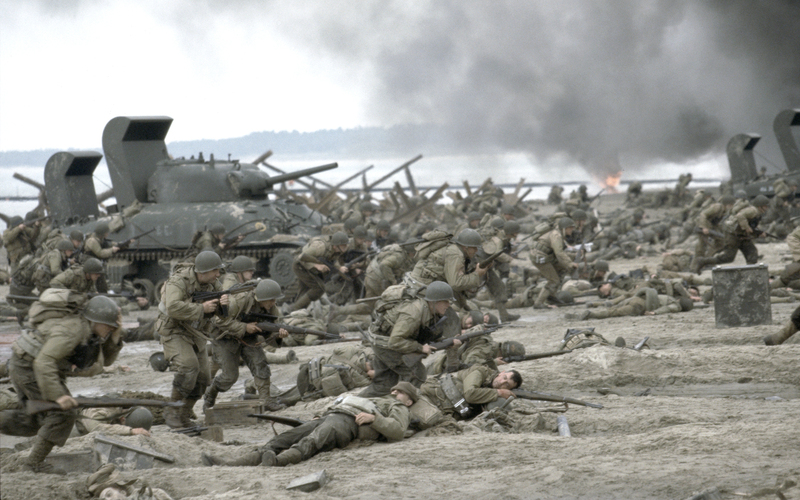 Concentrating on the assault on one (unnamed) beach, the scene is possibly the best depiction of war on film ever. It shows every aspect of war from the horror, brutality and futility to the heroism. The scene is captivating, enthralling and terrifying, it achieves this despite the fact that it appears at the start of the film before we have met or invested in the characters involved. “Today, twenty-seven war cemeteries hold the remains of over 110,000 dead from both sides: 77,866 German, 9,386 American, 17,769 British, 5,002 Canadian and 650 Poles. It has been reported that Emily Blunt was director Jon Favreau’s first choice to play Natasha Romanoff /Black Widow in Iron Man 2 but scheduling conflicts with Gulliver’s Travels ruled her out. Legend, hearsay and conjecture suggests she was actually cast in the movie but had to drop out because of reshoots for The Wolfman (for those who haven’t seen it the movie is a mess and needs more than reshoots). It has also been suggested that she was considered for Selina Kyle/Catwoman in The Dark Knight Rises but lost out to her Devil Wears Prada co-star Anne Hathaway. As I watched the films I didn’t give Emily Blunt a second thought, the part in Iron Man 2 wasn’t that great and Scarlett Johansson did an okay job. On the other hand despite the relatively low screen time Anne Hathaway was brilliant in The Dark Knight Rises pushing any thought on anyone else playing the part out of the mind. 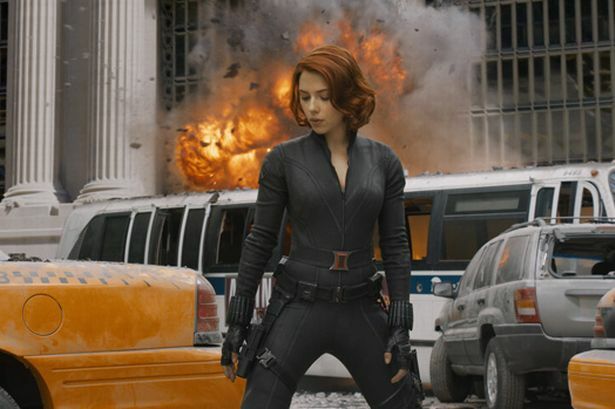 Then came The Avengers and Captain America: The Winter Soldier, Johansson grew into the role and was the most interesting character in both films. I did then wonder what Emily Blunt would have been like in the part. She has been an actress that has always impressed with whatever part she has been given, such as comic and light and roles: Wild Target, Salmon Fishing in the Yemen, Sunshine Cleaning, The Devil Wears Prada. 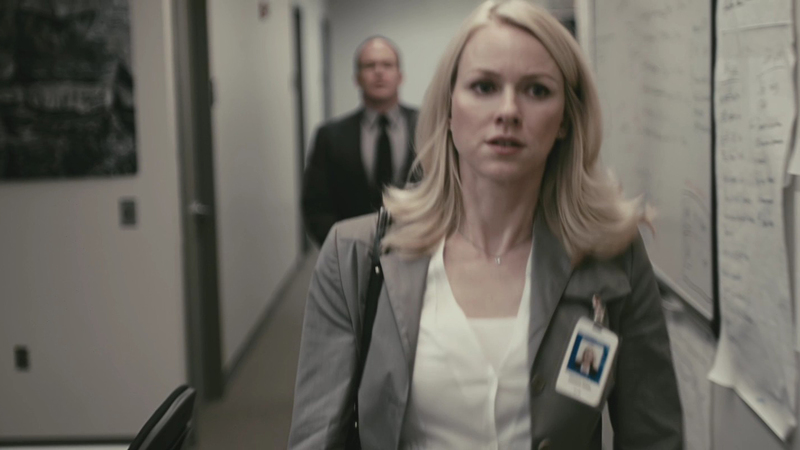 But she has always been at her best in more dramatic parts: The Adjustment Bureau, Looper and My Summer of Love. 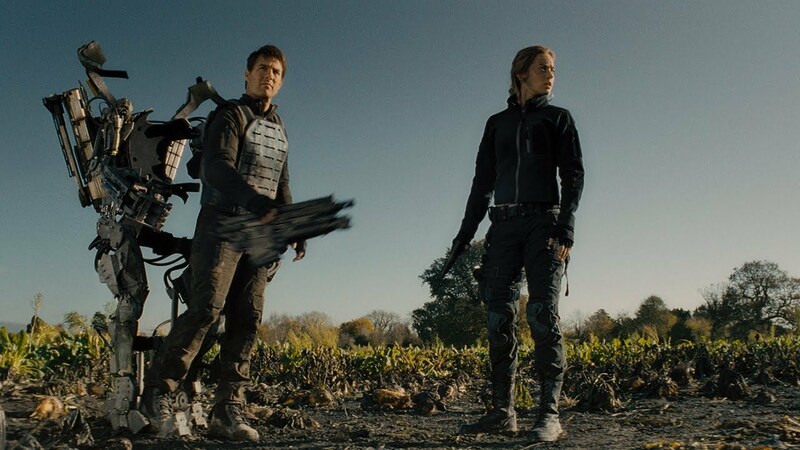 Then came Edge of Tomorrow. Playing alongside Tom Cruise in a part that the films structure prevents her having a real story arc, she is still the heart of the film and lights up the screen every time we see her. Beyond that, it is an action movie that makes me believe she could play any part given her and would have been a great Catwoman or Black Widow. I would love to see her in a big leading action role, but at the age of 31 in the modern youth obsessed Hollywood she needs that big role now. Will there be a Catwoman in Justice League or is there a space for another female Avenger? Are we going to see any big blockbusters away from the two big comic book studios? Next up, she will be par t of an all star cast in Into the Woods. Then next year in Denis Villeneuve’s Sicario (Villeneuve directed last years breakout hit Prisoners). Nothing has been reported beyond that but something big must be on the horizon for this hugely talented and versatile actress.